We hope that you’re doing well and staying cool throughout the heat of the summer. We’re pleased to provide you with some of the latest Prostate Cancer News You Can Use. Below you’ll find titles of recent articles followed by a link to the Us TOO web page that provides access to the full text. The Us TOO Prostate Cancer Clinical Trial Finder simplifies the process of identifying clinical trials by matching a patient’s profile with relevant clinical trials at no charge. Patient information can be entered online or on the phone by calling a toll-free number to talk with clinical trial navigators who speak English or Spanish! CLICK HERE to visit the Us TOO clinical trial web page, which includes more information and a link to The Us TOO Prostate Cancer Clinical Trial Finder. There’s still time to apply for the Astellas Oncology C3 Prize®! Anyone with a non-medical, non-treatment idea for changing cancer care is eligible to apply for an unrestricted grant until 11:59 p.m. CST on August 21st. One grand prize winner will receive a $50,000 grant and consultation and four finalists will each be awarded a $12,500 grant. Visit www.C3Prize.com for all of the details. Hard as it may be to believe, we’re only a few weeks away from September – Prostate Cancer Awareness Month. 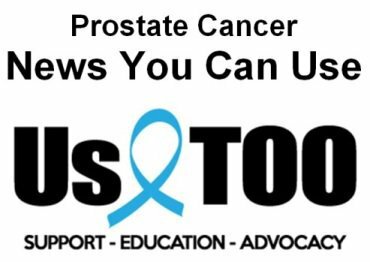 Watch for the September issue of the Hot SHEET newsletter from Us TOO coming soon and more Prostate Cancer News You Can Use in about a month.